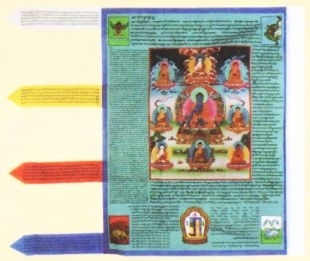 Very nice Seven Medicine Buddhas Prayer Flag. It feature Medicine Buddhas with other Buddhas. The Kalachakra symbol enhances it by 10 fold. It is 35. 5 inches x 30 inches.